Watch a recording of our tribute to André Schiffrin below, which was held at Cooper Union's Great Hall on October 29, 2014. The New Press mourns the loss of its visionary founder, André Schiffrin. A brilliant editor, publisher, progressive thinker, and mentor, André will be missed by all those who worked with him over a publishing career that spanned half a century. He will remain an inspiration to independent publishers and booksellers around the world. In his three decades as managing director of Pantheon Books and his two decades as founding director of The New Press, André introduced American audiences to international thinkers and writers from Günter Grass, Julio Cortázar, and Marguerite Duras to Michel Foucault, Hans Magnus Enzensberger, and R.D. Laing. Perhaps best known as Studs Terkel’s muse—André was said by Studs to have been the inspiration for all of his books, including the Pulitzer Prize–winning “The Good War”—André was also known for his willingness to experiment with form and content, taking risks on such groundbreaking works as Art Spiegelman’s Maus, a comic-book treatment of the Holocaust, and economist Stephen J. Rose’s graphic presentation of American economic inequality The American Profile Poster. André also published dozens of American thinkers, many of whom were unknown when he brought out their first books and who went on to become household names and prizewinning authors. Among these are John W. Dower, Barbara Ehrenreich, Michael Lesy, Lucy R. Lippard, Robert Frank, Frances Fox Piven, David S. Wyman, Sissela Bok, Noam Chomsky, Edward Said, Gabriel Kolko, and Ada Louise Huxtable. André’s vision for an alternative to the commercial presses—a hybrid, “public interest publisher”—was realized two years later with the launch of The New Press, a 501(c)3, not-for-profit publishing house devoted to “the intellectual bottom line,” founded with The New Press’s current executive director, Diane Wachtell. Funded by foundations and private individuals, The New Press was designed to bring diverse voices into the national conversation; to reach “intellectually redlined audiences”; and, through its hiring practices, to diversify a notoriously monochromatic industry. Under André’s leadership, The New Press published such authors as Bill Moyers, Alice Walker, Helen Caldicott, James W. Loewen, Thomas Geoghegan, Peter Irons, Howard Zinn, Herbert Kohl, Robert W. McChesney, Lisa Delpit, Henning Mankell, and many others—including many translated from other languages. The New Press recently celebrated its twentieth anniversary and is the publisher of Michelle Alexander’s The New Jim Crow, which spent eighteen months on the bestseller list. The New Press deeply mourns André’s passing and is dedicated to carrying on his legacy and his independent spirit. 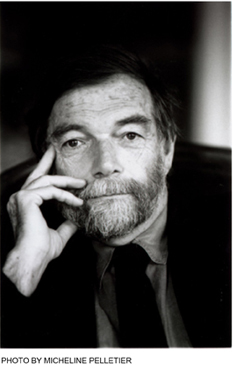 Read the tribute to André Schiffrin in The New Press Fall 2014 catalog.